Speaking to a correspondent from Yahoo News in the presidential palace, the Syrian leader said that any American efforts must, first and foremost, respect the sovereignty of Syria. "If the Americans are genuine, of course they are welcome. Like any other country, we want to defeat and to fight the terrorists,” he explained. "Troops are part of the cooperation ... [but] you cannot talk about sending troops ... if you don't have a clear political position toward not only terrorism, toward the sovereignty of Syria, toward the unity of Syria. It must be through the Syria government." "It's much more viable, much more practical and less costly to have stability than to create safe zones," he said, adding that hosting refugees in camps put them at risk of attack from armed groups. 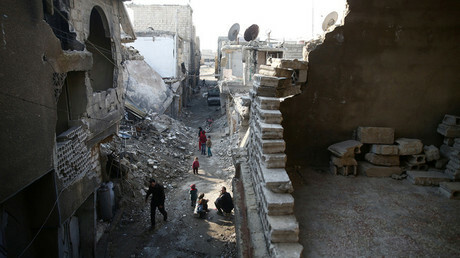 Assad’s statements about safe zones echo that of the UN High Commissioner for Refugees Filippo Grandi, who said that given the ongoing situation in the country, such zones “will not be safe enough.” Thousands of refugees have been massacred inside so-called “safe zones” during previous wars in Bosnia, Rwanda and Lebanon, which had supposedly been secured by international forces. Millions of Syrian refugees are already being hosted in camps across nearby Jordan, Lebanon and Turkey. Assad also accused the US of meddling in his country’s internal affairs and supporting the extremists who would then go on to form Islamic State (IS, formerly ISIS/ISIL). However, Assad seemed to offer support to one of Trump’s most controversial policies, the travel ban on entering the United States for the citizens of seven predominantly Muslim countries, one of which is Syria, saying there were “definitely” terrorists among the mass exodus of overwhelmingly-peaceful refugees. “It’s not about significant [numbers], because you don’t need a significant number to commit atrocities,” he said, citing photographs of armed Syrian militants who then emerged as refugees in the EU. All sides in the six-year Syrian conflict have been accused of atrocities and human rights abuses, and the Syrian leader acknowledged that government forces have made some “mistakes.” But he added that the Western media misrepresent the situation when they accuse the Syrian military of intentionally bombing hospitals and civilians. 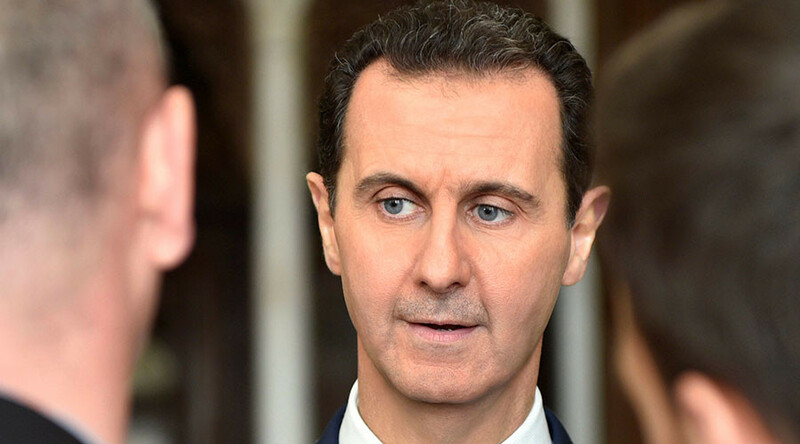 Assad also addressed the issue of alleged torture, mass executions and human rights abuses of political prisoners in Syrian jails, which was raised in a recent Amnesty International report.